Lyft - one of the most successful ride sharing apps, has 23 million active riders globally. It has been successful in capturing 35% market share in the US since its start in 2012. Lyft has a massive user-base enjoying this cheap transportation service that is affordable and faster than the traditional carriage booking. The rideshare software started in the US has been able to capture several global markets and generate 2.157 billion USD in revenue last year. However, not all parts of the globe have the online ride booking app services and entrepreneurs can generate high-profits with Lyft clone in those areas. The growth of this trip sharing app has been based on its business model of putting riders and drivers in a single community. 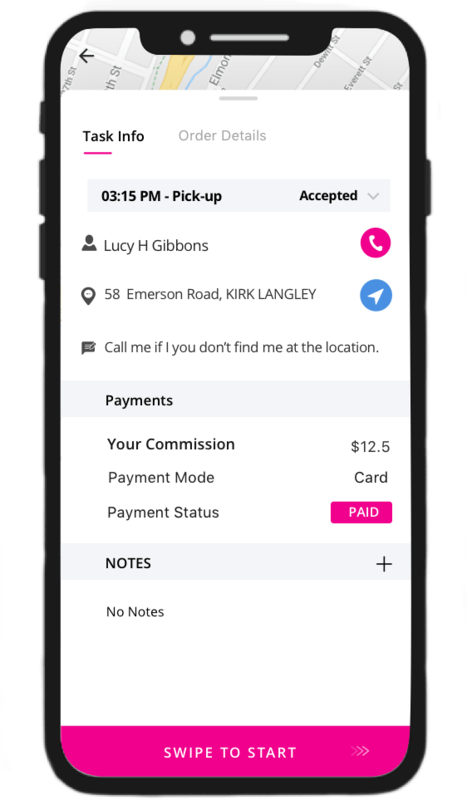 The foundation of Lyft’s success has been on its features such as driver information transparency prior to the journey, transparency with ride charges, real-time ride information, in-app payment for the cash-free rides. It is also the only carpool application that offers $1M liability insurance cover to its users in emergency cases. Startups can incorporate these features into their ride sharing app development for rapid growth. A rental car service business looking to go online can adopt a taxi app development approach similar to Lyft with number of useful features available. According to Forbes, the on demand transportation can substitute government-managed transit in future that will bring many opportunities for startups with Lyft app clone. The future of transportation on demand apps has a big space open with people searching for affordable and comfortable commute options. Given the fact that ride booking apps can be impactful in busy and ever-running cities, entrepreneurs can boost profits with an app like Lyft or Uber (global leader of on demand taxi booking). But lyft or uber like app development requires state-of-the-art and futuristic development skills. Do you own a transportation business that needs to go online? Or are you an entrepreneur with an idea for a Lyft-like app? If yes, Perhaps the best mobile app development company can help you with a Lyft-like taxi app clone. Get in touch now to know budget-friendly taxi app development cost and build the best carpool app. 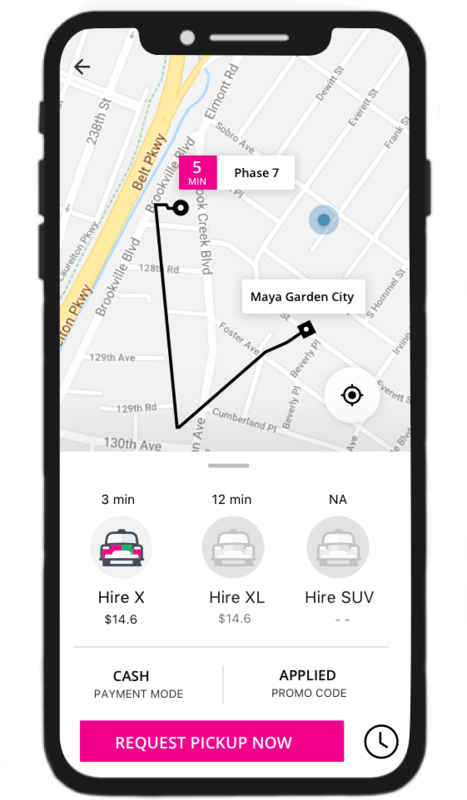 A Lyft like app enables customers to book a taxi anytime to commute wherever they want, whenever they want. Real-time notifications to inform customers about cab location, estimated arrival as well as ride time, and latest promotional offers and coupons to cut down ride prices. The convenience of tracking driver location in real-time with maps integrated into the taxi booking app. Multiple payment options offered to the customers for ease-of-payment for rides such as debit/credit cards, net banking, PayPal, COD, Wallets and many more. If satisfied customers are willing to refer your services then referral programmes help them to share the app to their family and friends easily. Enables passengers to give reviews on a completed ride and leave feedback of their experience with the app and ride services. Enables drivers to accept or reject a ride booking request from riders on the app as per their convenience. Assist drivers to easily find riders with customer location tracking system in the app displaying pickup point as well as live customer location. 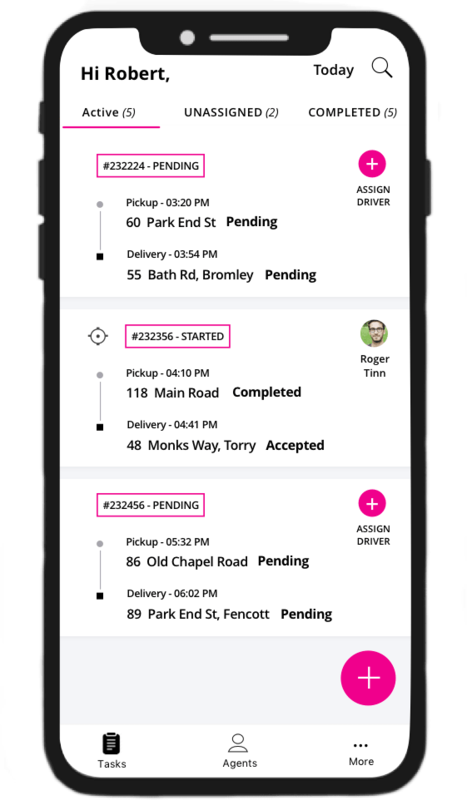 In case of multiple routes available to reach the customers, drivers can choose the best-optimized or shortest available route with the app. Drivers can turn availability status On/Off as per their convenience in the app to accept rides at their time and to let riders know whether they are available or not. Drivers can retrieve a detailed summary of their total income received from all the trips completed on the app. An area operation manager can send real-time area-related notifications to the customers using the operation manager app. For instance, to send special discount coupons on a local occasion. Document processing tool enables operation manager to add or modify all the driver information such as name, contact info, ID proofs, etc. as well as vehicle information such as insurance, pollution card, etc. Driver management tool allows the operation manager to add new drivers to an area and remove the lack of drivers in the area. 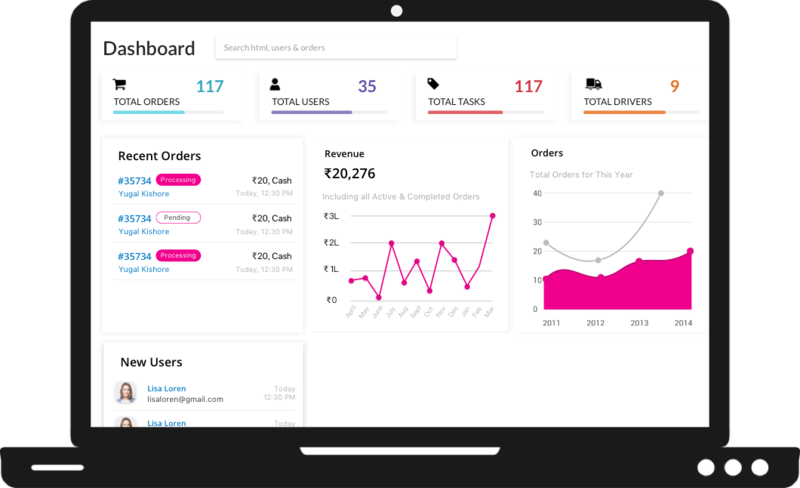 The panel lets admin to view and manage all the current and past ride-booking requests from customers on a single dashboard. Enables admin to efficiently manage customer profiles to handle their queries through customer management system in the app. Also lets admins to add, remove, or modify customer profiles. Dispatcher panel helps admins to get real-time driver location with vehicle information of all the active drivers. It enables admins to manage driver profiles and easily assign them rides. Admins can add, remove, or modify driver profiles manually with this system in the app. Useful analytics and insightful graphs available in the admin panel can help admins to take right decisions at the right time and define future business strategies. Admin can send real-time notifications to customers as well as drivers to inform them about any running offers, discount coupons, etc. Enables Admin to easily update ride fares based on the rider location, vehicle type, or distance. Moreover, the admin panel can be used to update any surge charge due to certain reasons such as high-demand or supply shortage.